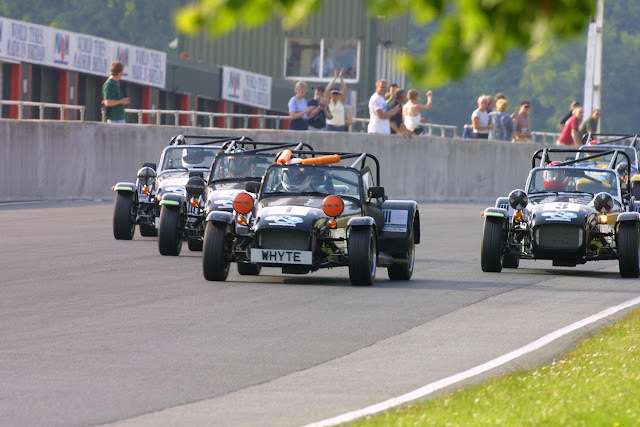 British sportscar maker, Caterham Cars, will feature in its 100th race at Wiltshire circuit, Castle Combe, on August 13. Twenty-five years after Caterham’s iconic Seven first raced at Combe, drivers in the Caterham Graduates Championship will take part in a 20-minute race as part of the August Cup race weekend on the track described by Autosport Magazine as “the best club racing circuit in Britain”. Caterham has a rich motorsport heritage in the UK – its innovative Caterham Academy has launched the careers of more than 850 brand new racing drivers since its inception in 1995, more than any other race series. Among the drivers to have raced, and won, at Castle Combe in Caterham Sevens since the marquee first raced there on July 5, 1986, are ex-Formula One driver David Brabham, ITV4 British Touring Car Championship commentator Ben Edwards, and former motorcycle racer and MotoGP commentator, Steve Parrish. Tickets for the Castle Combe race weekend are available online at www.castlecombe.co.uk, costing £8 (£4 OAP and free for U16s) for the Saturday and £15 (£7 OAP and free for U16s) for Sunday. Paddock access is free when booked online or £2.50 on the day. Please visit http://www.caterham.co.uk or call 01883 333 700 for more information about joining the Caterham Academy or any other of Caterham’s motor racing championships.